GPA required of 3.0 or higher. An essay (500 words max) highlighting reasons for your interest in being awarded a BAMA scholarship. 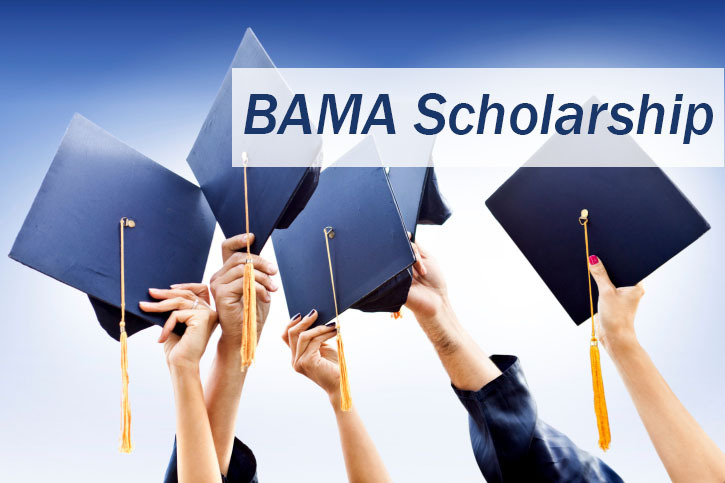 The essay should include (a) both your education and career goals relevant to the vision and expectations of BAMA; (b) contributions you anticipate making to the field of manufacturing; and (c) how the BAMA Manufacturing Scholarship will impact your educational goals. Two letters of recommendation (documents 2 & 3): One letter can be from a parent/grandparent/guardian. The other could be from a current instructor, employer, or BAMA member you know professionally. Transcripts (document #4) from all current/previous higher education institutions. Legible copies are acceptable; originals are not required. Resume (document #5) highlighting past and current work and school experience. If you currently have industrial contacts which can be used in this Program, be sure to mention them in Attachments 1 and 2 above, along with your plans for utilizing them. The winner will be asked to attend our annual awards dinner on June 21. For Scholarship Consideration - Submit this online form and send copies of your resume, transcript/s, and 2 letters. Please be sure that each submitted document has your full name identical to the form so they can be identified as yours. BAMA offers scholarships for students from the Tampa Bay area to pursue manufacturing careers. Eligible students must be from Pinellas, Hillsborough, or Pasco counties in Florida. To qualify for the BAMA Scholarship, please complete the following form and then mail or email all 5 required documents.